But for now I will just post this preview – I sometimes forget how weird it must to watch me take the images for a flash composite. My second shooter moving to light different groupings, my insistence that nobody move (thank you! ), all so that I can spend some time editing them together for a more dramatic portraits. 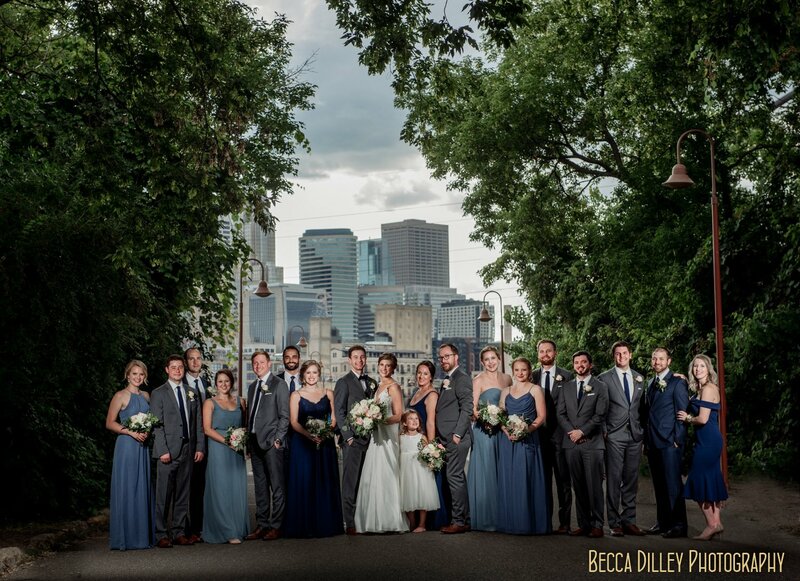 The point of all that flailing and planning is this – 7 images, stitched together, of Lindsey and Michael’s very handsome wedding party at the Stone Arch Bridge in Minneapolis. Classic and modern, blended into one, just like their wedding! The end result looks great. Nicely done!